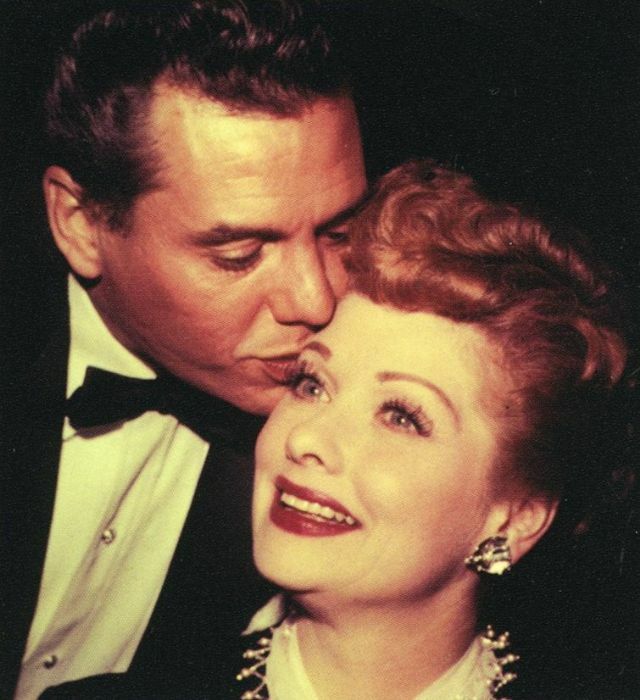 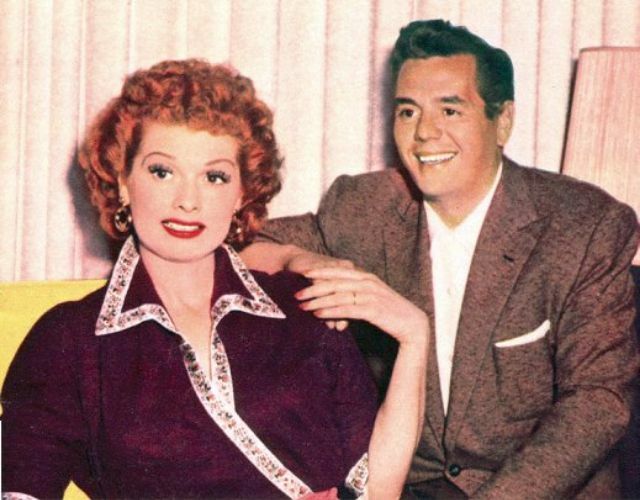 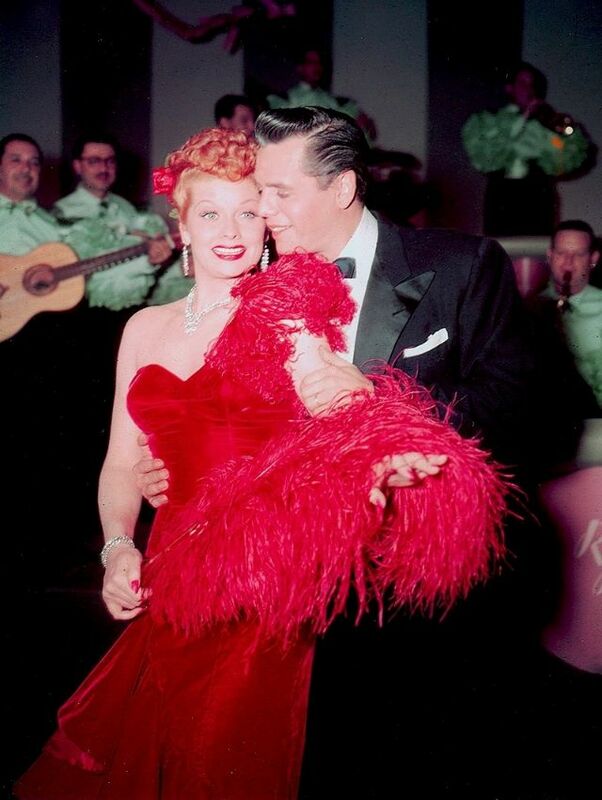 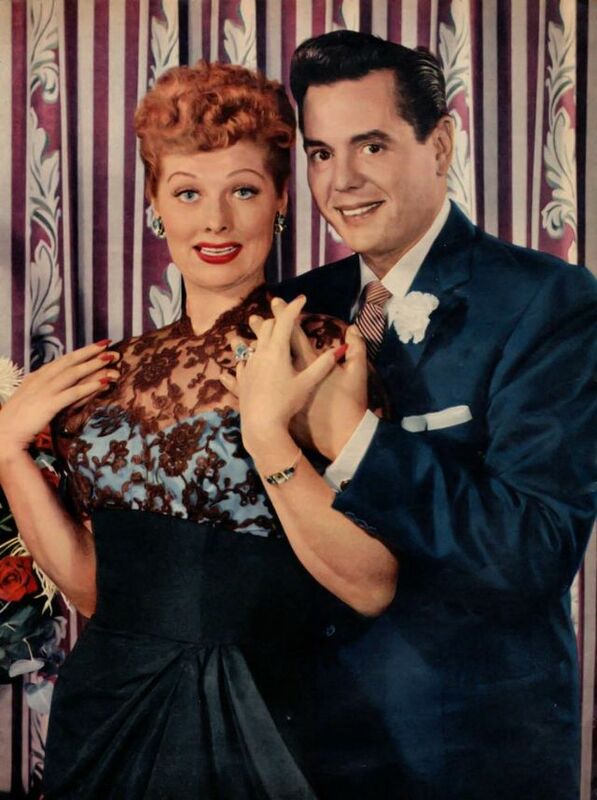 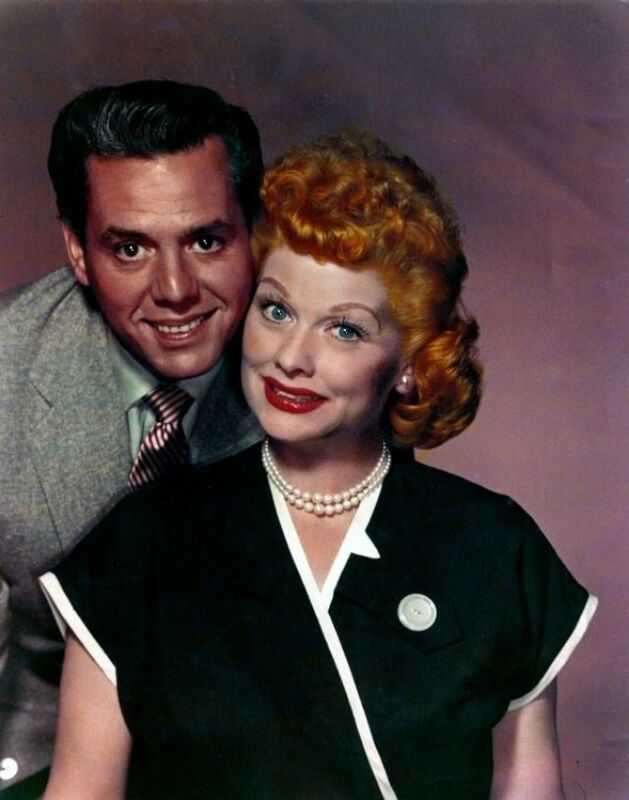 Model and comedienne Lucille Ball, 28, met Cuban bandleader Desi Arnaz, 23, in 1940 while filming Too Many Girls. 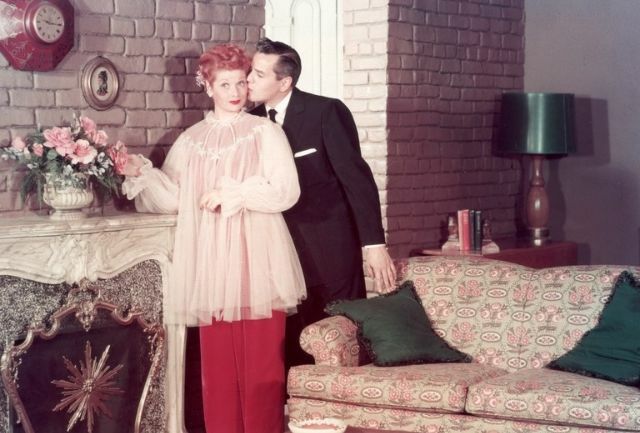 They fell for one another instantly and eloped later that year. 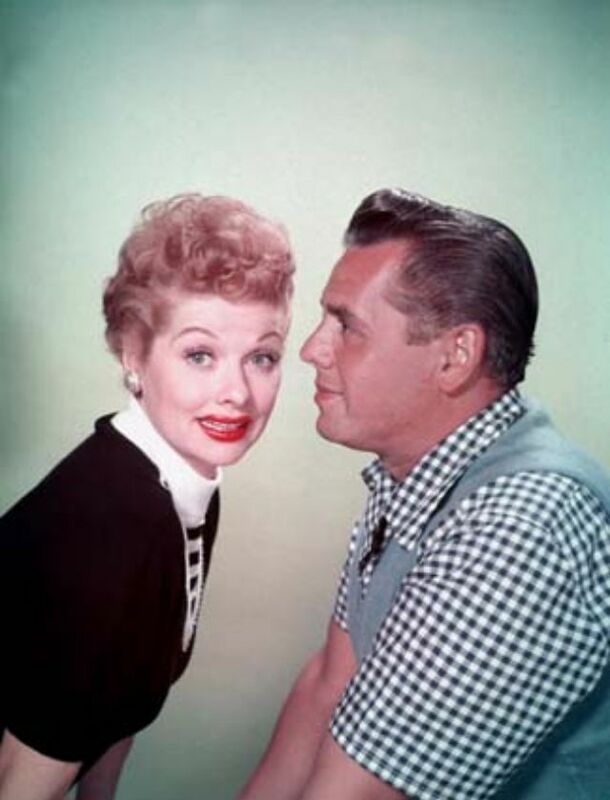 From the start, friends say Lucy doted on Desi, eager to make him happy. 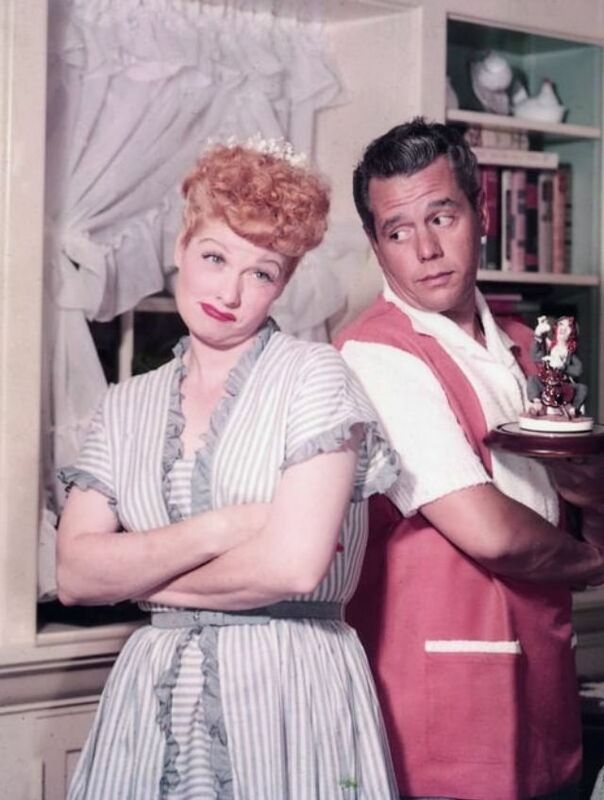 If he wanted something, she'd get it. 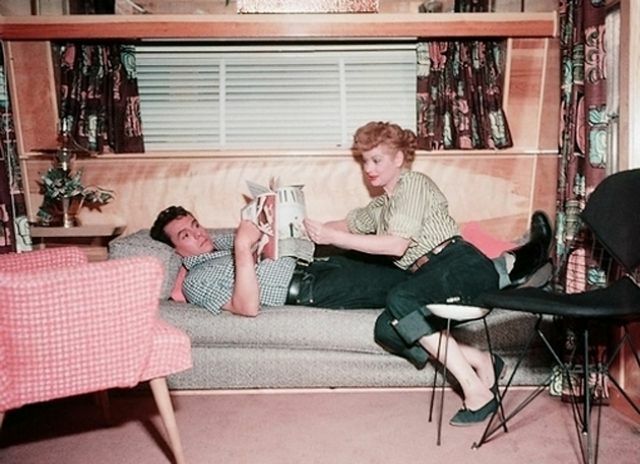 If they sat down together and he needed more space, she'd scoot over. 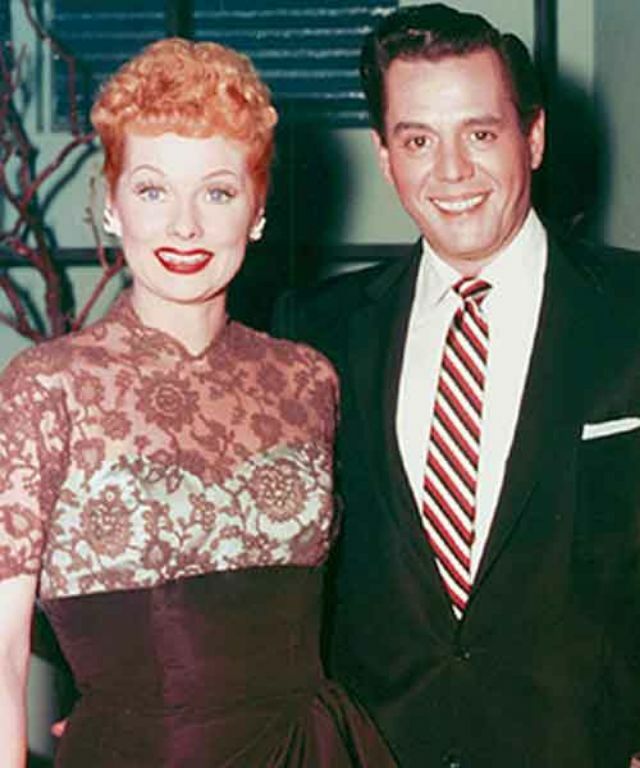 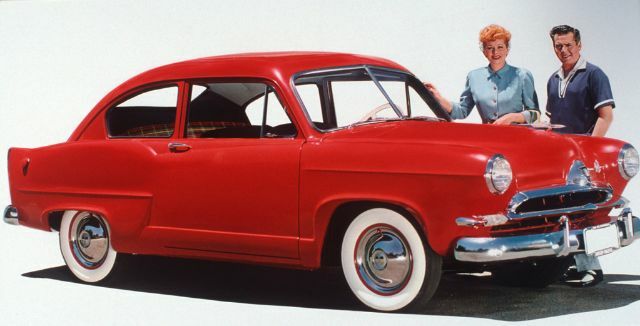 “I found it surprising because she was such a strong, independent lady, but when it came to Desi, she was very old-fashioned,” friend and actress Ruta Lee told Closer. 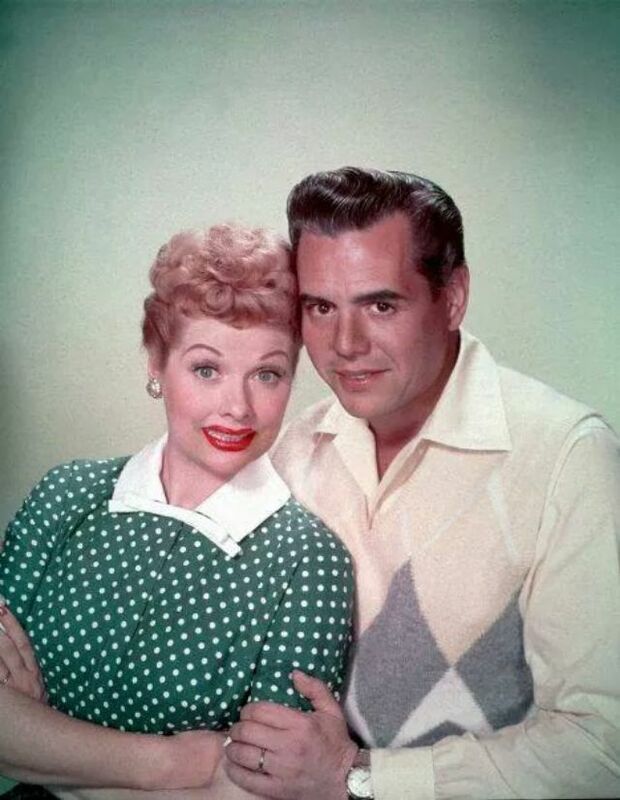 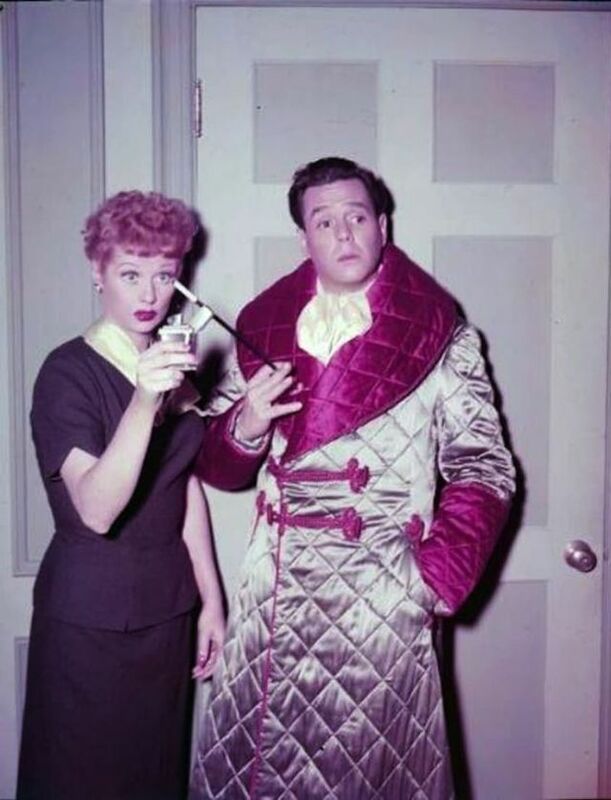 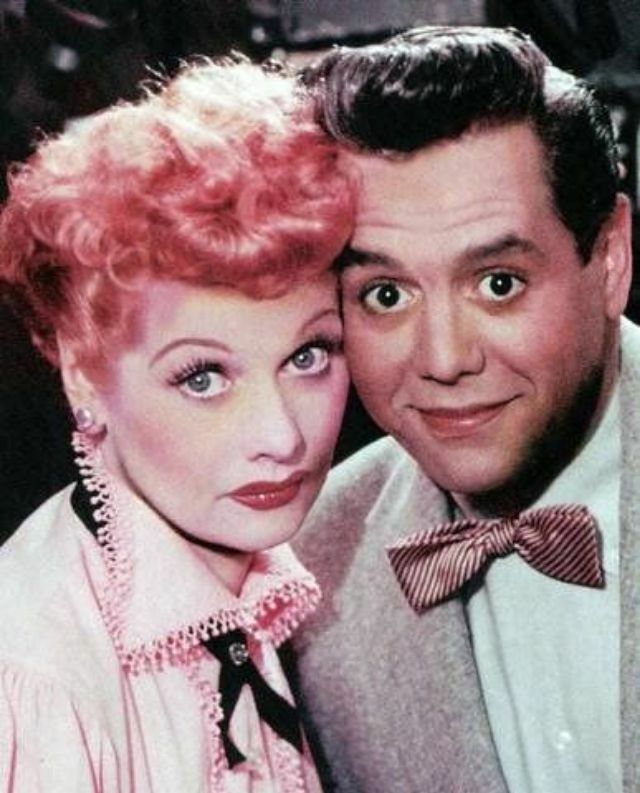 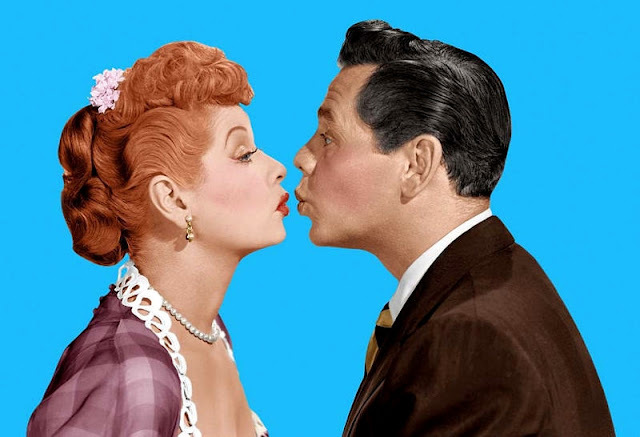 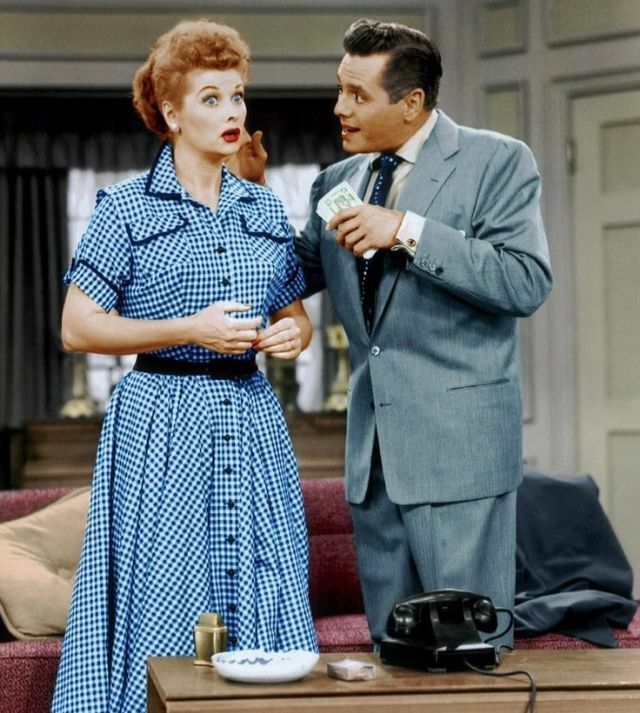 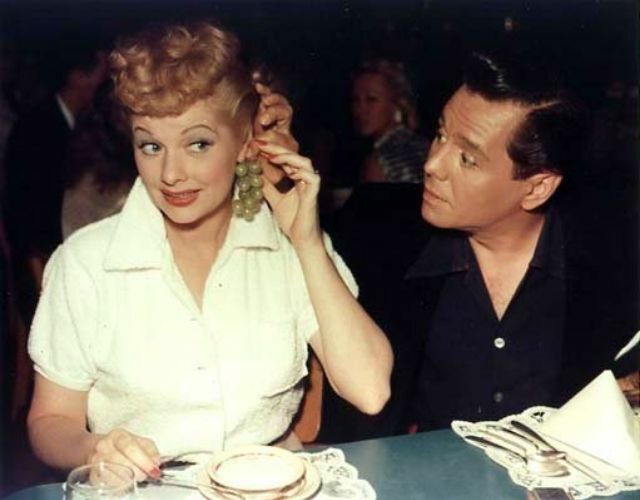 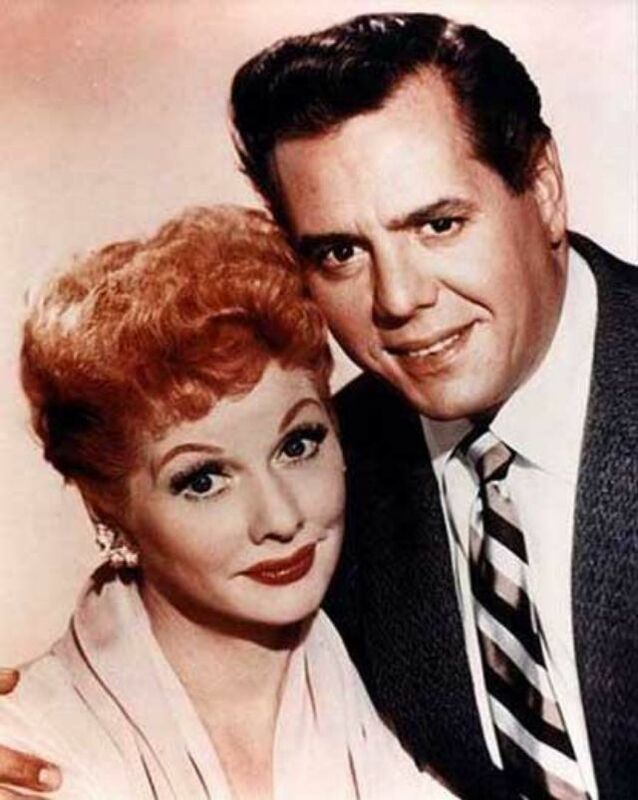 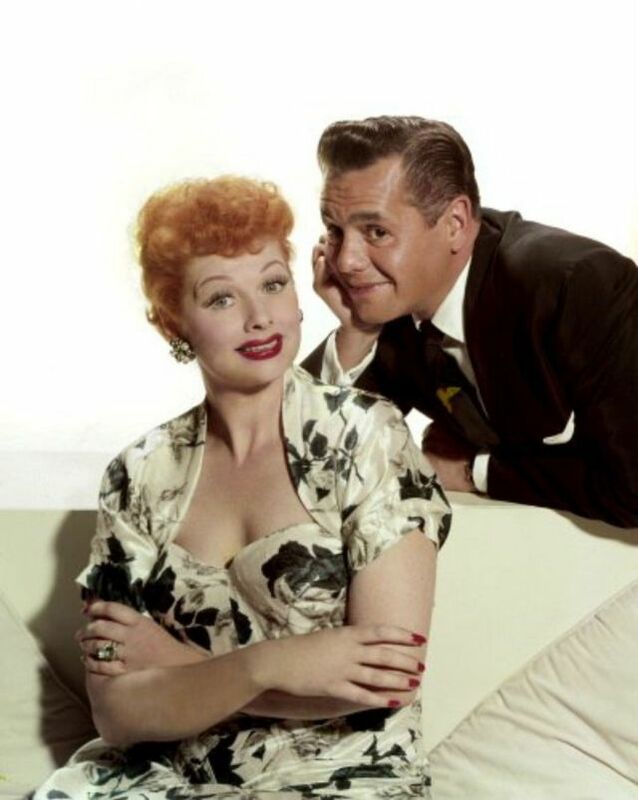 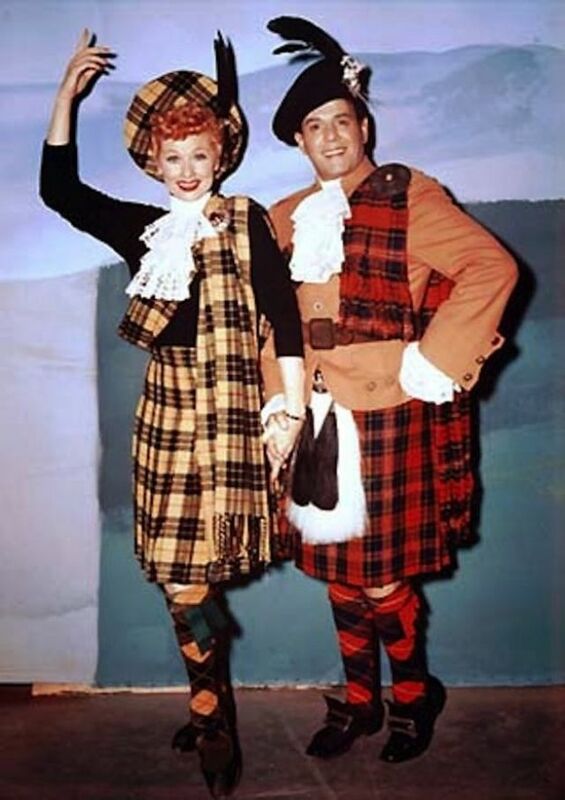 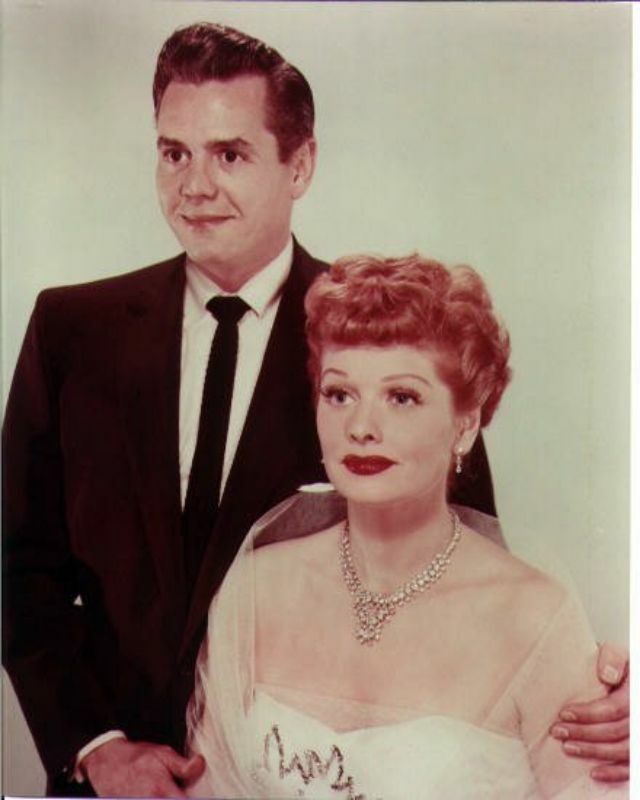 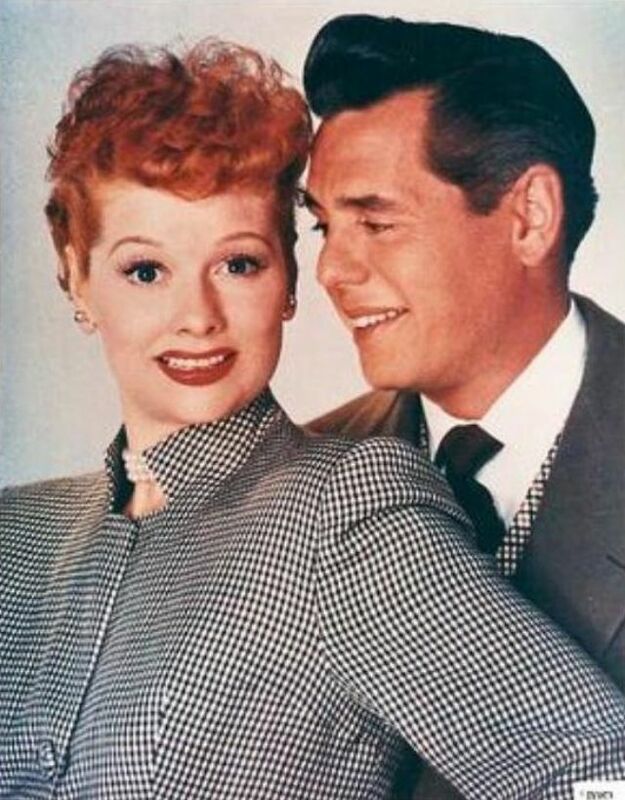 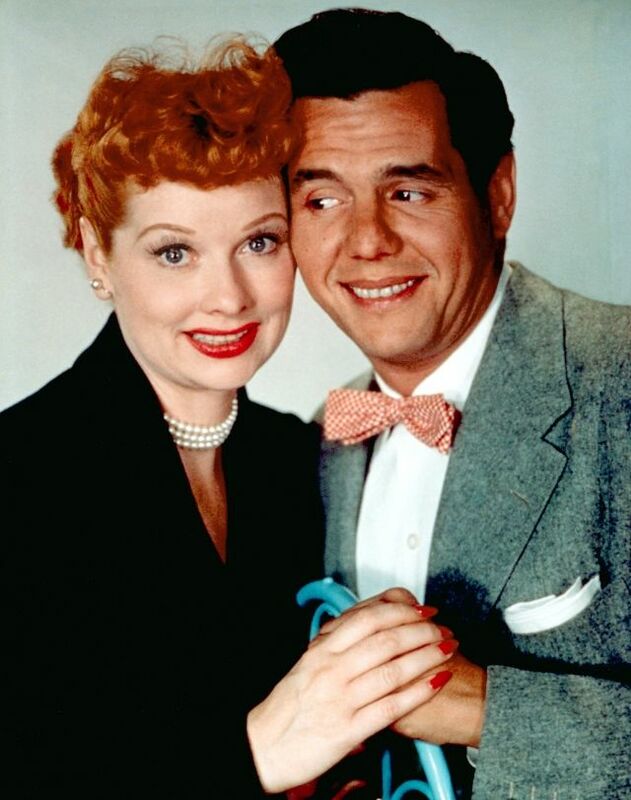 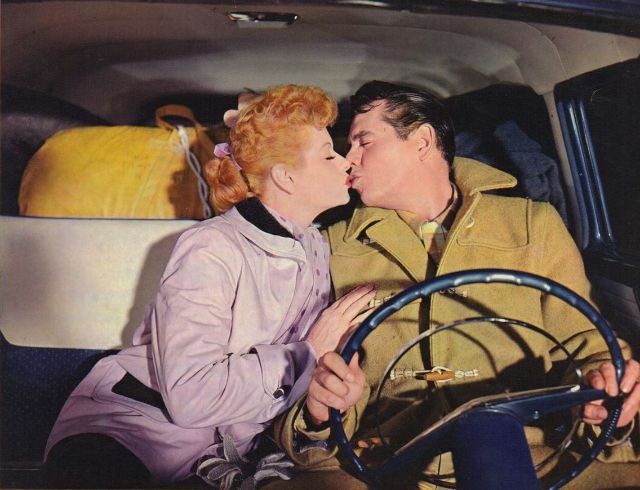 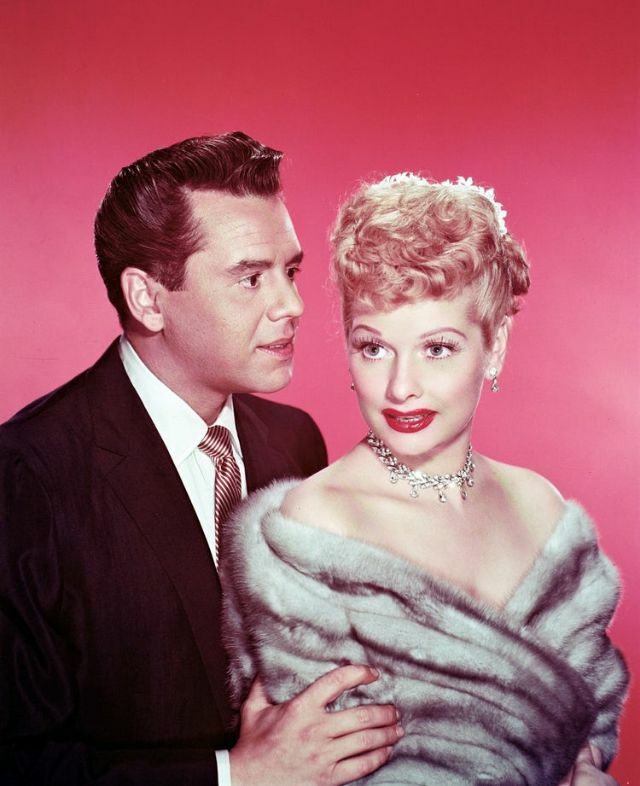 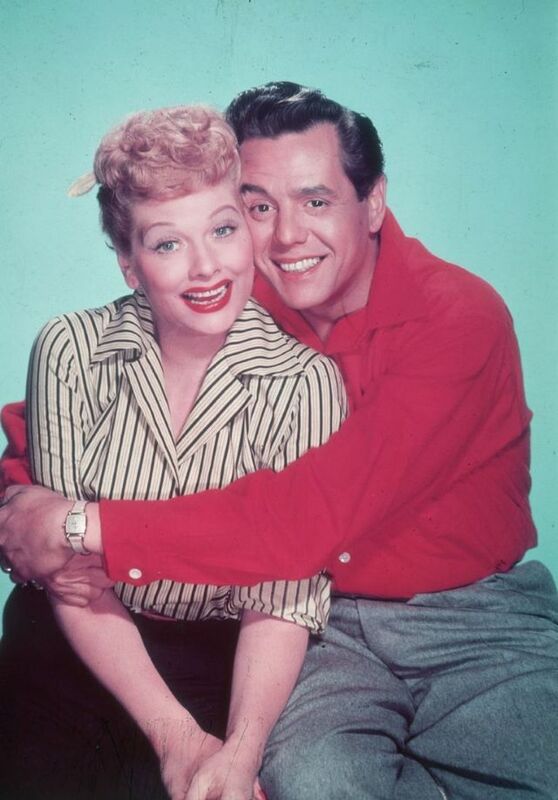 In 1951, they debuted the hit television series I Love Lucy, starring as the zany middle-class couple Lucy and Ricky Ricardo. 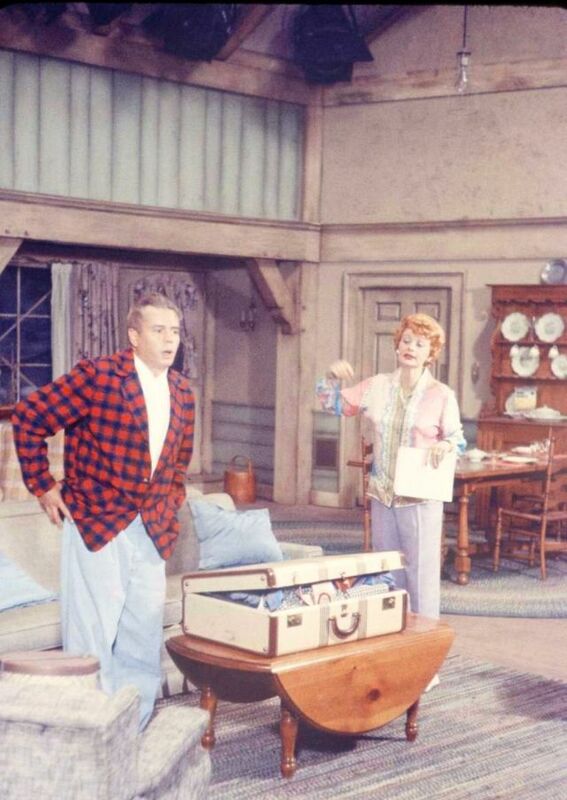 With near-perfect timing and a genius for ad-libbing, the red-haired Ball cruised through 179 episodes. 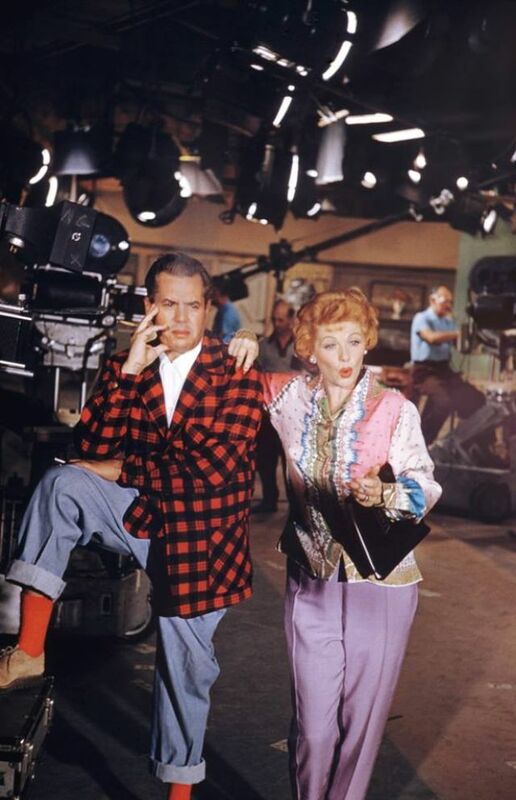 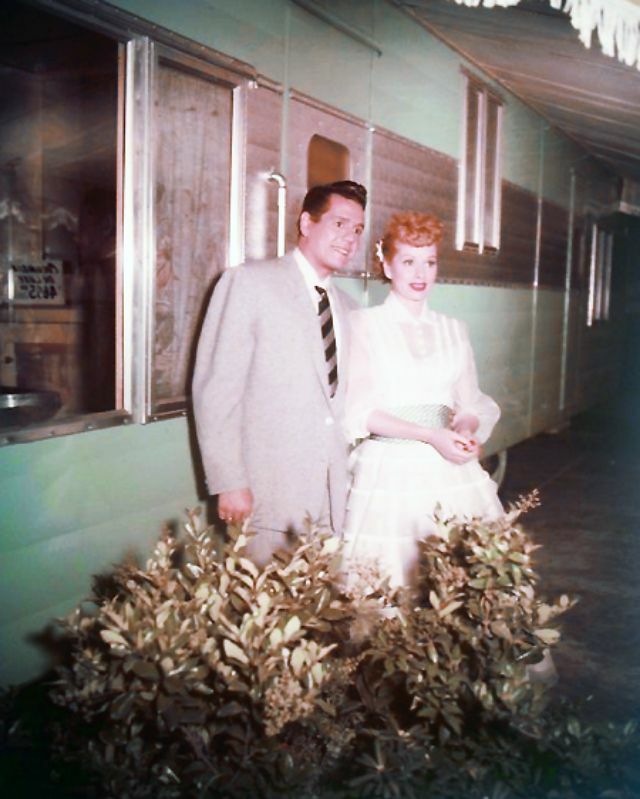 The duo also founded Desilu Productions in 1950, a successful independent television production company. 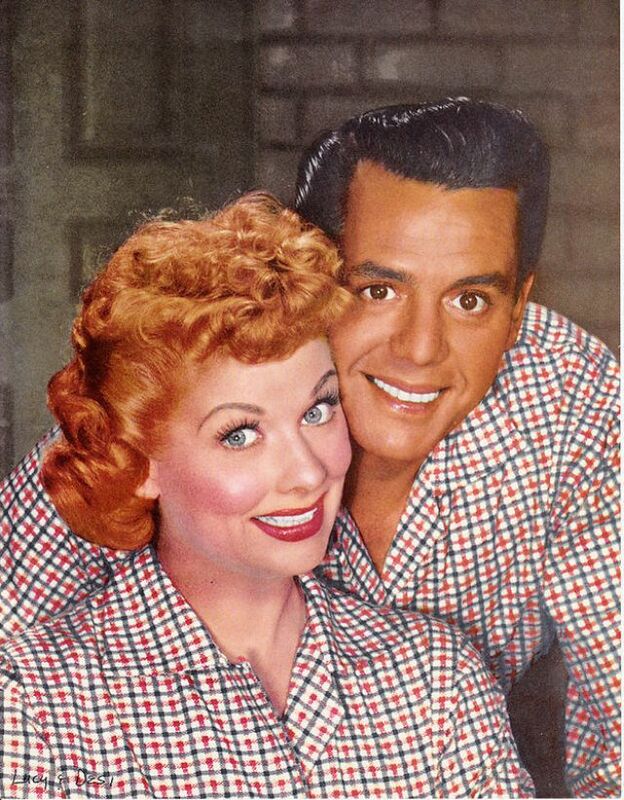 Ball and Arnaz divorced in 1960, ending one of television's greatest marriages, though they remained friends until his death in 1986.